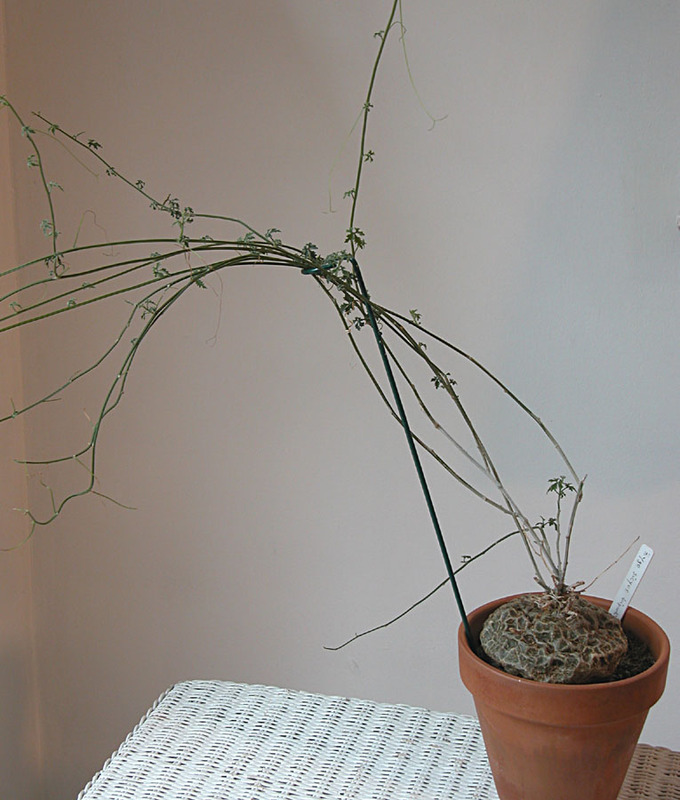 The leaves are still tiny, the plant is just emerging from dormancy. 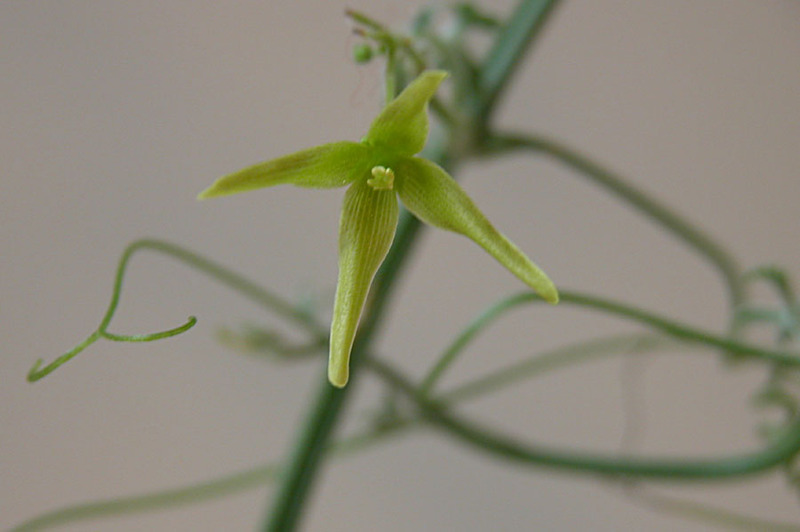 The name of the plant is longer/larger than the ridiculously tiny flower, see below. It measures about 4-6 mm, and if you blink you will miss it! 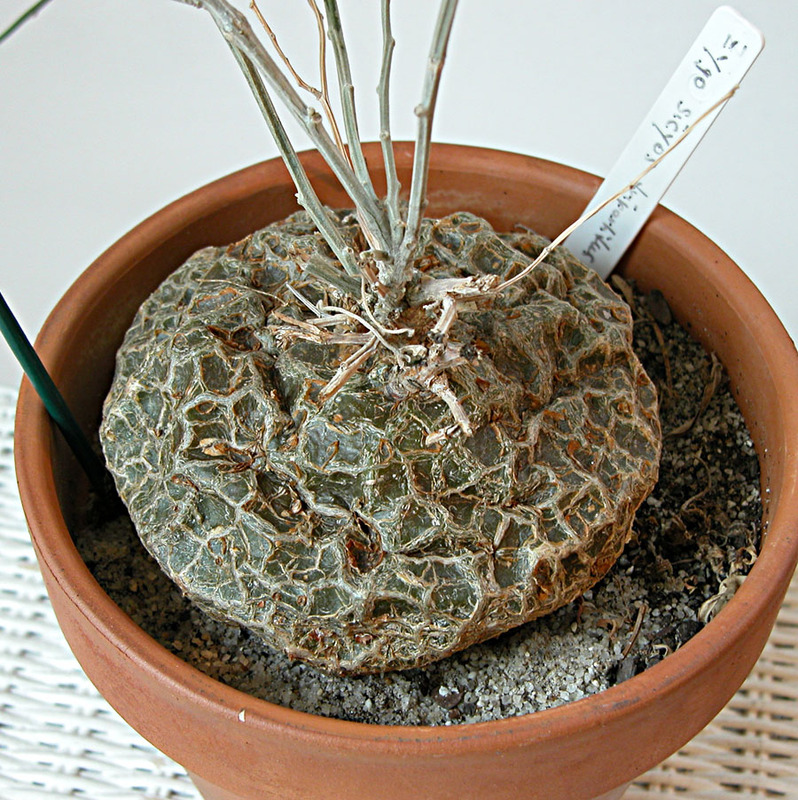 The interesting round caudex is now really plump and filled out in contrast to its shrunken appearance in the Spring. The leaves look less spindly too. 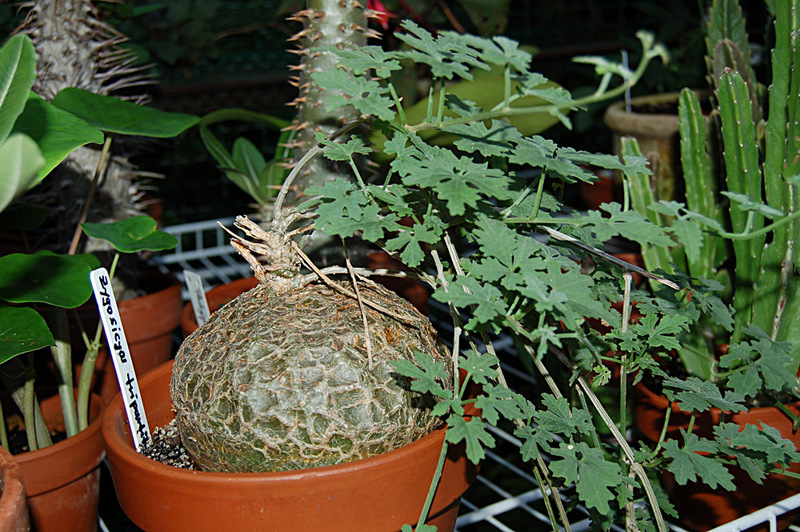 This plant can take a good deal of water during active growth. It is subjected this year to frequent thunderstorms, although it sits on a lower rack and doesn't take the brunt of the weather. Larger plants above it provide some protection.